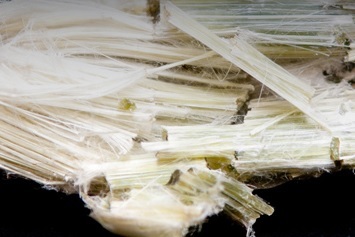 In a case originating more than 75 years ago, a 4–3 majority of Virginia’s Supreme Court ruled that a company was liable in the death of an employee’s family member who was exposed to asbestos fibers carried by the employee on his clothing into his home. Relying on judicial precedents (common law) rather than legislation, the majority said the company had a relationship with the family member, who died from mesothelioma, even though this relationship occurred beyond the premises of the company. A relationship creates a duty of care, which, the majority found, the company failed to meet. The plaintiff, who is the executor of the estate of the deceased, alleges that from approximately 1942 to 1977, the father of the deceased was employed by Newport News Shipbuilding and Dry Dock (now Huntington Ingalls Incorporated) and was routinely exposed to asbestos dust that adhered to his clothing. He brought home asbestos fibers, and his car was contaminated with these fibers. His daughter lived in his home and was exposed to asbestos beginning in 1942. Beginning in 1954, she regularly helped launder her father’s clothes, shaking off and breathing in asbestos dust in the process. She moved out of the home in 1969. In December 2013, she was diagnosed with malignant pleural mesothelioma caused by exposure to asbestos dust and fibers. She died from the disease 3 years later. The complaint alleges the shipyard was aware of the dangers asbestos exposure posed and was negligent in choosing not to exercise reasonable care to, among other things, sufficiently warn workers not to wear work clothes home; educate workers about safeguards, such as coveralls; provide a locker room, showers, or laundry service; and adhere to various statutes, regulations, and guidelines. 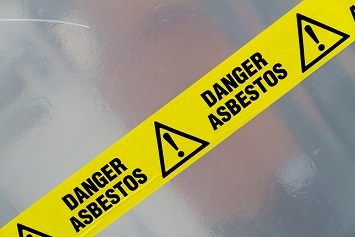 Does an employer owe a duty of care to an employee’s family member who alleges exposure to asbestos from the work clothes of an employee, where the family member alleges the employer’s negligence allowed asbestos fibers to be regularly transported away from the place of employment to the employee’s home? The shipyard argued that no duty to the deceased existed because the asbestos traveled on the backs of employees. In other words, the shipyard could not be held liable for harm that would occur in the world in general because asbestos was incidentally transported out of the premises. Common law holds that negligence depends on some specific relationship between the plaintiff and the defendant, without which there can be no liability. The shipyard contended it had no such relationship with the deceased. To clarify that the shipyard could not claim innocence because the asbestos left the facility, the majority used the example of a cow wandering off a property and blocking public roads. The Virginia Supreme Court’s opinion in Quisenberry v. Huntington Ingalls Inc. is at http://www.courts.state.va.us/opinions/opnscvwp/1171494.pdf.